Designed for everyone who wants to serve delicious meals to friends and family, and host parties with confidence and pleasure. Like its predecessor, You’re Grown–Now You Can Cook, author Sallie Swor brings you a book that is perfect for anyone from the novice chef to the confident cook who would like to serve beautiful, delicious food to company and your family. 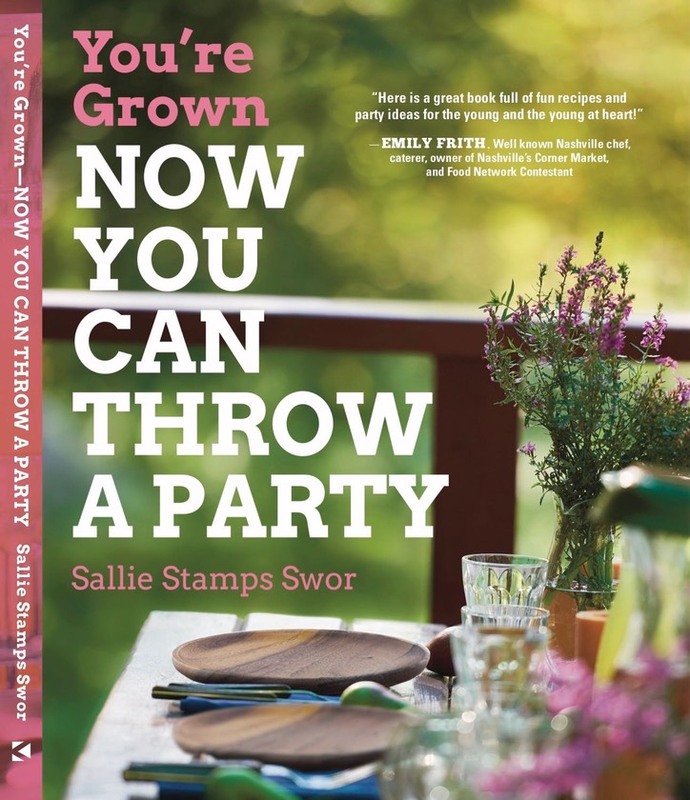 Menu planning and party ideas, plus entertaining and informative text make You’re Grown–Now You Can Throw A Party a delight to read. This collection of over 120 recipes is a perfect gift for a graduate, new home or apartment owner, newlyweds and, of course, everyone who enjoys good food, great recipes, and entertaining friends and family. These are the recipes and menus that will make anyone feel confidence and pride in hosting a celebration big or small. Included is advice on party planning, menu suggestions, easy decorating tips, serving suggestions, and tips for quick cleanup. Recipes feature step-by-step directions that are clear and concise, sequential lists of ingredients, and include helpful menu plans. This collection of delicious recipes and a witty guide to hosting will guarantee that your friends will beg to be included in every party you throw.